Choose from our various sizes, strengths (heavy duty versus super heavy duty), and materials (chrome versus stainless steel) for our racks and shelves. Mobile units also available when transport of goods is required. Dunnage shelves can replace standard shelves on most shelving systems to accommodate extremely heavy loads. 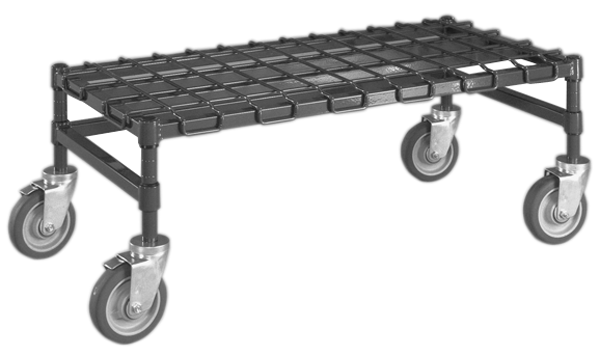 All Dunnage Racks also available in anti-microbial material! Buy two or more and take 5% off.